He was out there somewhere. By now he’d be an old man. He had worked “decades” in the White House. Maybe he had passed away virtually alone, and there had been only a wisp of an obituary notice. But no one could confirm if that were so. Maybe I was looking for a ghost. Actually, I was looking for a butler. I couldn’t stop looking. It is such an old-fashioned and anachronistic term: the butler. Someone who serves people, who sees but doesn’t see; someone who can read the moods of the people he serves. The figure in the shadows. Movie lovers fell in love with the butler as a cinematic figure in the 1936 film My Man Godfrey, which starred William Powell as the butler of a chaotic household. More recently, the butler figure and other backstage players have been popularized in the beloved television series Downton Abbey. My butler was a gentleman by the name of Eugene Allen. For thirty-four years, he had been a butler at the house located in Washington, DC, at 1600 Pennsylvania Avenue, which the world knows as the White House. Finally, after talking to many, many people, on both coasts of the country, and making dozens and dozens of phone calls, I found him. He was very much alive. He was living with his wife, Helene, on a quiet street in Northwest Washington. Eugene Allen had worked—as a butler—in eight presidential administrations, from Harry Truman’s to Ronald Reagan’s. He was both a witness to history and unknown to it. “Come right in,” he said, opening the door to his home on that cold November day in 2008. He had already taken his morning medications. He had already served his wife breakfast. He was eighty-nine years old, and he was about to crack history open for me in a whole new way. This is how the story of a White House butler—who would land in newsprint the world over after a story I had written appeared on the front page of the Washington Post three days after the historic election on November 4, 2008, of Barack Obama—actually unspooled. It all began in summery darkness in 2008, down in Chapel Hill, North Carolina. Midnight had come and gone, and the speech was being summed up and analyzed and written about. Yet another Democratic presidential hopeful had been pleading with a throng of students and voters about why they should vote for him. The rafters of what is known as the Dean Dome on the campus of the University of North Carolina were packed. The candidate, who possessed a smooth and confident disposition, was on his way. The audience was multiracial, young and old. The instantly recognizable guttural voice of Stevie Wonder was jumping from the loudspeakers. Some of the old in attendance were veterans of the movement, as in civil rights movement: the sixties, segregation, those brave souls gunned down and buried all across the South. Now the candidate was before them, shirtsleeves rolled up, holding the microphone. “I’m running because of what Dr. King called the fierce urgency of now, because I believe in such a thing as being too late, and that hour, North Carolina, is upon us.” The words had a churchy, movement feel to them, and then–senator Barack Obama was effortlessly lifting the throng up out of their seats. The noise and clapping pointed to believers. But still, it was the South, he was a black man, the White House seemed a bit of a fantastical dream. History and demons were everywhere, though the candidate seemed impervious to all that. I was one of the writers covering the Obama campaign that night for the Washington Post, flying in and out of a slew of states over a seven- day period. Following the Chapel Hill rally and speech—and after I’d interviewed a few folks inside—it was time to move outside and head for the bus, which would take us journalists back to the hotel. The night air was sweet and rather lovely. Suddenly, I heard the oddest thing: cries, and coming from nearby. I turned my head and squinted through the dark. Just over there, on a bench, sat three young ladies—college students. I stepped toward them and asked if anything was wrong, if there was anything I could do. “Our fathers won’t speak to us,” one of them said through her sobs, “because we support that man in there.” They had all been inside the Dome. The speaker’s cohorts nodded through reddened eyes. She went on: “Our fathers don’t want us supporting a black man, but they can’t stop us.” Their words stilled me. I sat talking with them for a while. Their sobs faded away, and the looks on their faces soon returned to a kind of resplendent defiance. They were staring down their daddies; they were going to be a part of the movement to get this black man to the White House. Maybe I was half-exhausted, maybe I was in a dreamy state of mind, maybe those tears had touched me deeper than I knew. But then and there, in that southern darkness— as if I had been kicked by a mule—I told myself that Barack Obama was indeed going to get to 1600 Pennsylvania Avenue, to the White House. I wanted to find a black man or woman who had worked and scrubbed inside the White House, who had washed dishes there, who had drunk from those colored only water fountains in America during the Jim Crow years. I did not mind that people around me were constantly saying America would not elect a black man as president. A black employee at the White House in the 1950s? The White House operator told me it was their policy not to give out names of former employees, and she knew of no White House office that would assist me in such an endeavor. There are always walls, roadblocks in a reporter’s work, and I told myself this was nothing to fret about. Besides, I had a source on Capitol Hill, in a congressman’s office, someone who would help. But after much back-and-forth, this source couldn’t gain any guidance from the White House either. Others were soon offering blank stares, or long pauses on the telephone, with no possible names or even leads. Then, with me wondering if such a person could be found, someone told me about a lady in Florida who used to work at the White House, who might know of just such a person. The woman in Florida, a former White House employee, gave me a name. “If he’d have passed away I would have heard about it,” she said. “The last time I saw Eugene Allen he was standing outside of 1600 Pennsylvania Avenue, getting into a taxicab. He was attending a reunion at the White House. He worked there many years as a butler.” She did not know exactly how many years. If Eugene Allen were still alive, I had to find him. If he had been getting into a taxi when last seen by my Florida contact, that meant he likely lived in the Washington, DC–Maryland–Virginia region. The phone books were full of Eugene Allens. By the time I had made forty calls without tracking down this particular Eugene Allen, I began to wonder if this man still lived in the area. People age and become snowbirds. They move to California, Arizona, Florida. And, of course, they die. The unsuccessful calls kept mounting. “Hello, I’m looking for Mr. Eugene Allen, who used to work as a butler at the White House.” It was about the fifty-sixth call. The subway train rumbled under the surface of DC. The butler had given directions to his home. It was a working-class neighborhood through and around which the 1960s riots had once swept. On my way to his street I walked past a fish fry joint, and storefront churches, and small clothing stores. In front of the butler’s home, the front gate had been left noticeably ajar: expecting company. 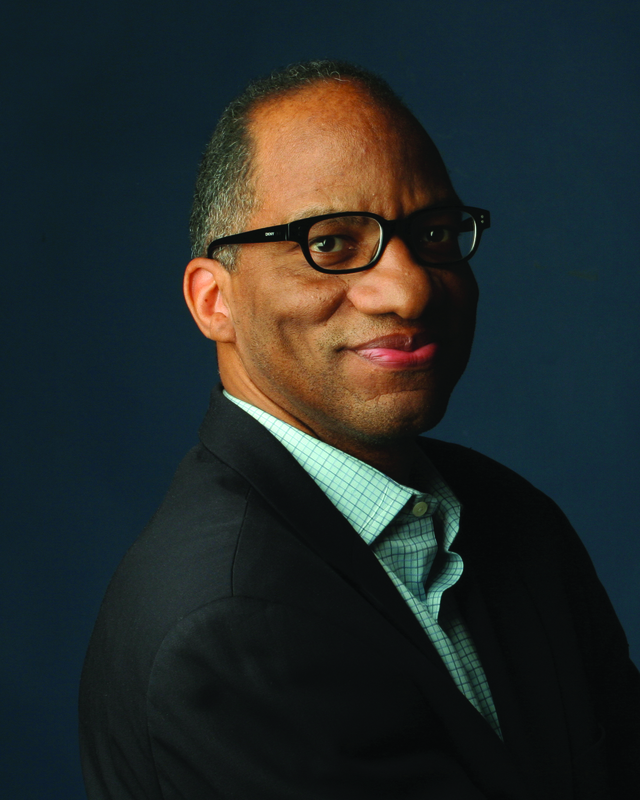 A Guggenheim and National Endowment for the Humanities fellow and a writer for the Washington Post, Wil Haygood has been described as a cultural historian. He is the author of a trio of iconic biographies. His King of the Cats: The Life and Times of Adam Clayton Powell, Jr., told the story of the enigmatic New York congressman and was named a New York Times Notable Book of the Year. That was followed—after publication of a family memoir—by In Black and White: The Life of Sammy Davis, Jr., which was awarded the ASCAP Deems Taylor Music Biography Award, the Zora Neale Hurston-Richard Wright Legacy Award, and the Nonfiction Book of the Year Award from the Black Caucus of the American Library Association. In 2009, he wrote Sweet Thunder: The Life and Times of Sugar Ray Robinson, which told the story of the famed New York pugilist known as much for his prowess in the ring as his elegant style outside of it. Haygood is an associate producer of Lee Daniels’ The Butler. "Wil Haygood blends the political with the personal in this portrait of White House butler Eugene Allen. Allen, an African-American, served eight US presidents (from Harry Truman to Ronald Reagan) for 34 years – a span of time that included remarkable gains in civil rights." "The book . . . speak volumes about a nation struggling, and succeeding by degrees, to come to terms with an ignominious history of racial inequality. Poignant and powerful." "Haygood chronicles Allen's eventful life: from his humble beginnings on a Virginia plantation, through his time comforting John F. Kennedy, and into old age, when he cast his vote for the first black president. . . . Haygood has done well to preserve Allen's memory." 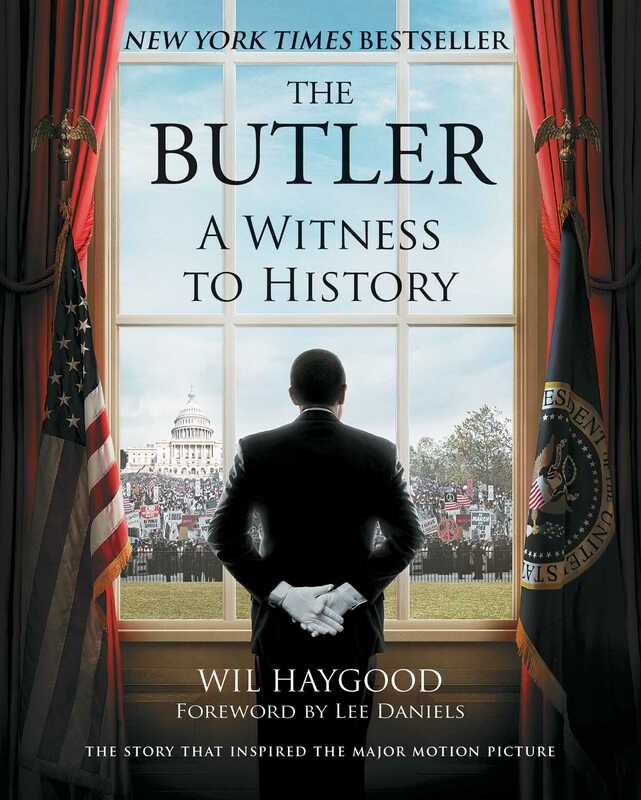 "The Butler: A Witness to History should get just as much, if not more, attention than the film which uses its story for thematic foundation. Wil Haygood adds Eugene Allen’s chronicle to his impressive list of essential works on great figures in black and American history."